The red and green curves represent two different populations. 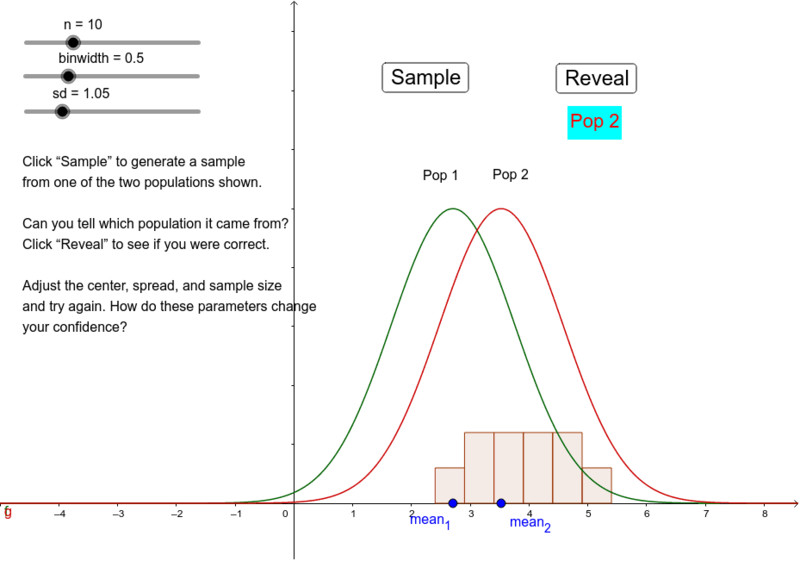 When you click sample, the applet draws a random sample of size n from one of the two populations and generates a histogram of the sample. Can you guess population it came from? How reliable are your guesses? You can change the populations by sliding their means along the x axis or by changing their standard deviations (sd). You can also change the sample size, n. What changes make it easier to guess? What changes make it harder?